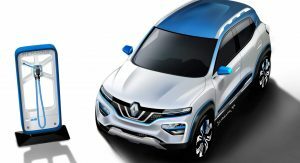 Renault wasn’t that generous with details about its K-ZE electric show car unveiled at the Paris Auto Show. 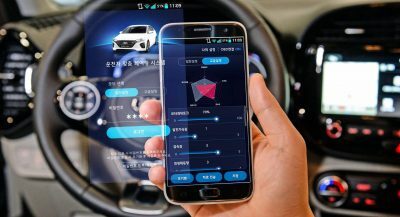 That usually happens with models that are crucial for an automaker, and the K-ZE certainly is. 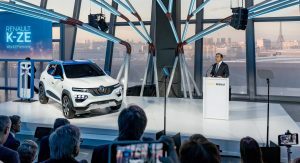 Described as an “affordable urban electric vehicle,” the A-segment crossover has the potential to become the world’s most affordable EV — think of it as the Logan of the electric car world. 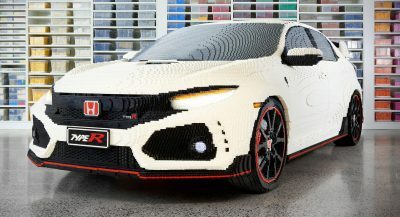 Unlike the Logan, however, it adopts a crossover body that is in high demand right now all over the world. 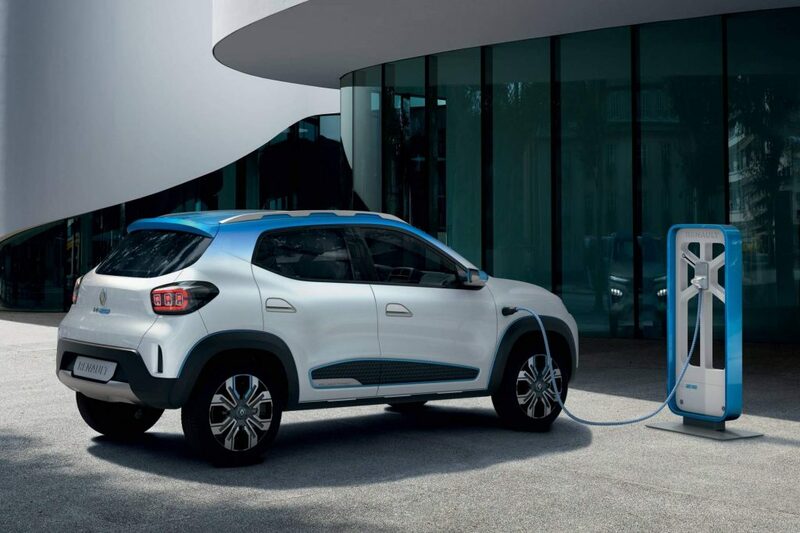 The side and the rear are very similar to the Kwid, and knowing Renault’s methodical approach to cost-cutting the K-ZE is most likely a Kwid updated with all-electric propulsion. 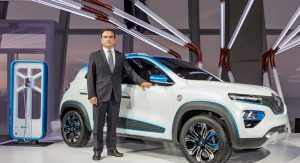 Another important thing to mention about the K-ZE is that it will enter production next year in China, benefiting both from competitive labor costs and a huge market — the world’s largest for electric cars. 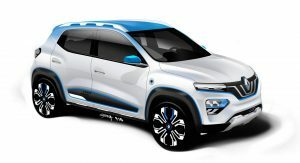 The Renault K-ZE will be made locally by a company called e-GT New Energy Automotive Co. 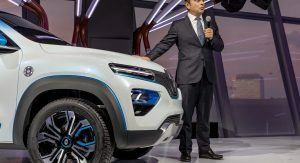 The joint venture was created by Dongfeng Motor Group and Nissan to develop and produce competitive electric vehicles for the Chinese market. 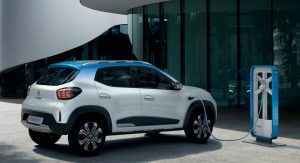 When it enters production next year, the K-ZE will offer a driving range of 250 km (155 miles), which Renault says is the best in the segment. However, that’s measured according to NEDC, which means real-life range will likely be 200 km (124 miles) or less. 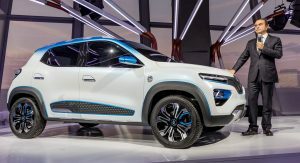 Still, if it’s priced competitively, the Renault K-ZE might become the vehicle that kickstarts a massive switch to electric vehicles as it arrives in markets around the world. Don’t expect it to be too spartan when it comes to equipment, though. 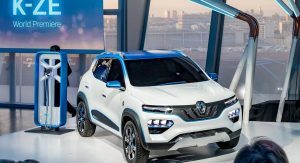 Renault says features include rear parking sensors, rearview camera, and a central touchscreen infotainment system with connected navigation and services. 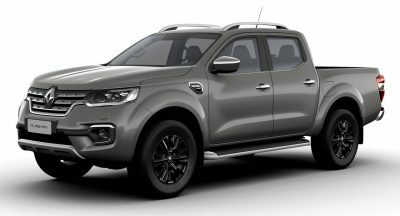 That and if it has decent range and reliability. 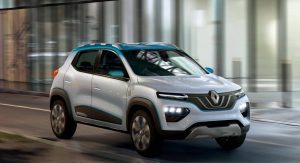 The styling is reasonable, and it clearly shows the influence of Renault and Nissan’s other crossovers. NICE TO SEE THE PLUG CLEANLY INTEGRATED NOT AN UGLY TRAP DOOR IN THE FENDER.